Over the last few weeks, Red Dead Online has received four new game modes, all focused on player vs player competition. These modes come at a time when many players are frustrated with what they see as the game’s lack of content. These new modes are, at least so far, the main way Rockstar has been adding more content into the game. The end result is a mix of some good and some bland modes. Of all the new modes added over the last few weeks, Target Races are my favourite. The mode is fairly simple. 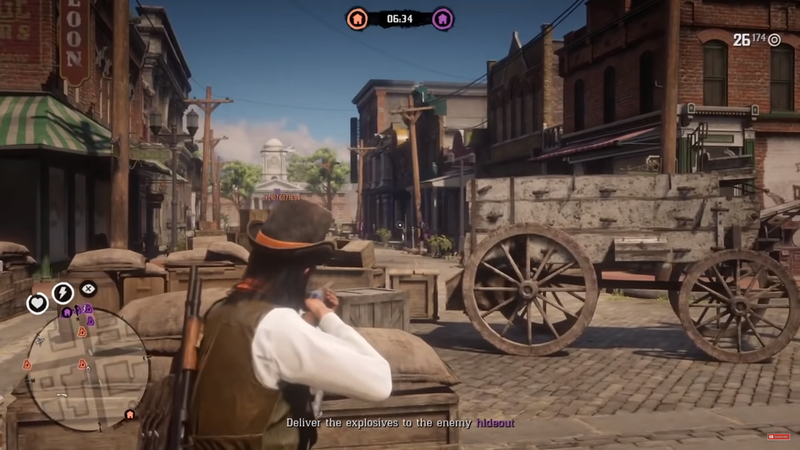 Players ride horses around tracks and shoot targets using bows or guns. Hitting these targets is the equivalent of hitting a checkpoint in a standard race, so you can’t ignore them. But you also need to be mindful of the terrain and other players. This mode forces players to split their attention between riding fast and safely, shooting targets and dealing with other racers. Focus too much on one and you might get screwed by another. Once, I was focusing too hard on not missing targets and rode right off the track and into some rocks. Another time I got too set on trying to take out a player who had killed me and missed a target, forcing me to slow down to hit it and falling into the last place as a result. Having to split my attention makes this mode feel fun and exciting. Target Races reminds me of a similar mode found in Grand Theft Auto Online. That mode, however, split shooting and driving between two players. Red Dead Online’s Target Races are trickier but ultimately more exciting to play, and they’re a great mode for players looking for some fast-paced action. In Plunder, players must capture packages that spawn in the middle of the map. Once grabbed, players take a package back to their surplus and drop it off. There is only a limited number of packages, so once every team has grabbed some, the game changes into a mode where players have to steal packages from other teams’ surpluses. This is when Plunder becomes more cutthroat and more entertaining. Teams have to make decisions. If you have the lead, is it smart to just camp at your surplus and defend it? When do you steal? Do you wait until the last minute of the game to try to turn the tables on another team? Or do you steal bags early and try to hold them for later? Do you go alone and leave someone on guard duty? These questions make the mode feel tactical. When my team was able to win at the last moment, after stealing a bag from another team, it felt great. Plunder can be a blast to play, assuming you have a few good teammates. Unlike Target Races, which is a mode without teams, Plunder is a mode built around working together with your team of two or three players, which means one bad teammate can make things tough. This mode is perfect to play if you have a few friends who like working together. In Up In Smoke, each team sets uses explosives to blow up the other team’s camp. It takes several bombs to pull this off, so players have to attack the enemy camp multiple times. This is easier said than done, because the other team shoots at you. A lot. Each camp’s health is represented via a life bar. 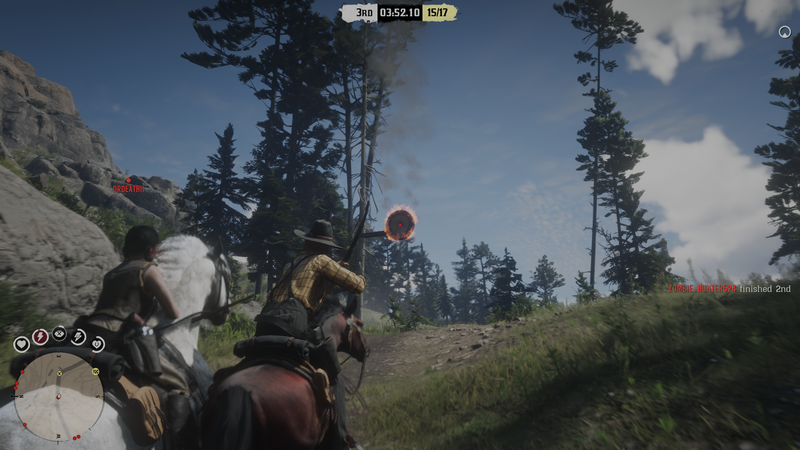 As your team blows up the other camp more, the bar ticks down. It’s simple and easy, which is one of the problems in this mode. There isn’t a lot of strategy or complexity to Up In Smoke. Teams just run at each other and try to blow up the other camp. I did find some matches where teammates would use their mics to say they were holding back to protect the camp, but more often than not it became an all-out war, with few staying at the camp to defend it. The mode is chaotic and fun, but after my seventh match of Up In Smoke, I felt like I’d seen all it had to offer. Matches feel very similar and it felt too much like a standard deathmatch mode, most of the time. 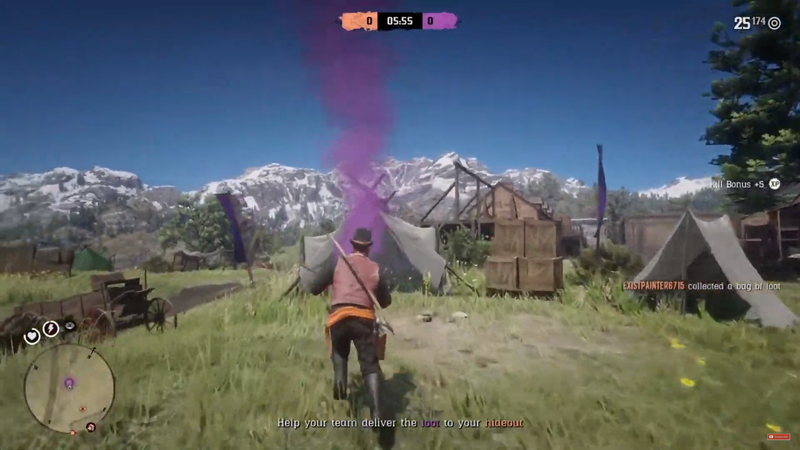 This is basically Red Dead Online’s version of capture the flag. In many ways, it feels like Plunder, but without the mad dash to grab bags at the start of the match. Instead, players grab loot from the enemy base. The team with the most captured loot when time runs out wins. 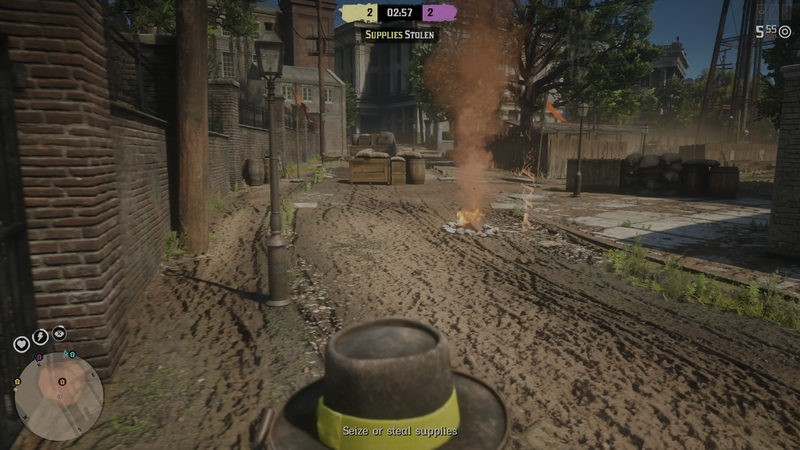 There isn’t anything wrong with adding a CTF style mode into Red Dead Online, but it feels a bit boring. One of the things I want more of in Red Dead Online is activities that feel like they only work in a game about cowboys and cowgirls, living on the range. This mode feels like it could exist in any other game. I also had many matches end in low scoring sudden death finishes, as well as a lot of stalemates and players sitting around. Spoils of War isn’t an exciting mode, but if you love capturing flags, or in this case bags, it could be enjoyable. These new modes give players more to do in Red Dead Online. They aren’t all fantastic, but plenty of players might enjoy them. Whether a handful of new PvP modes will turn the community’s perception of the game more positive remains to be seen.